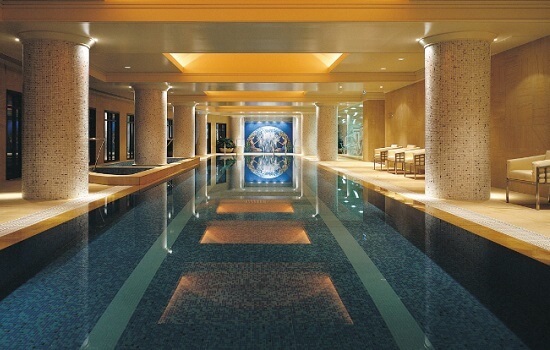 The luxuriously appointed 5 star Park Hyatt Melbourne, offers an exclusive sanctuary in the heart of the city. Located at the top end of the Melbourne CBD, overlooking St. Patricks Cathedral, Fitzroy Gardens and the cosmopolitan mix of Victorian and modern architecture, the Park Hyatt will certainly provide you with a comfortable home-away from home with warm ambience and exceptional levels of personalised service and luxury amenities. 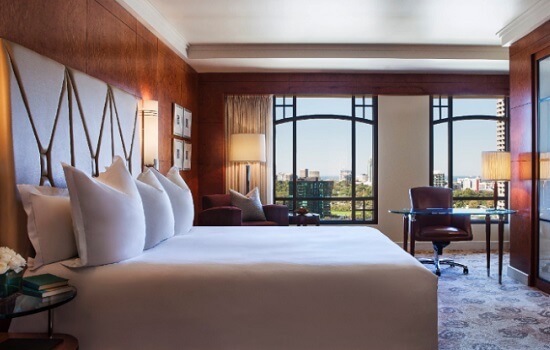 Renowned for having the largest luxury rooms & suites in Melbourne with walk in robes, Italian marble ensuites and open windows, Park Hyatt Melbourne provides an unparalleled experience of elegant, contemporary luxury. 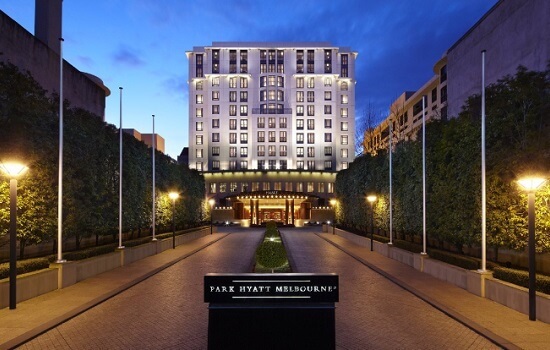 Located a short 15 minute drive away from the Albert Park circuit and less than 30 minutes to Melbourne airport, Park Hyatt is also a short walk to the best boutique shopping, numerous cafes & restaurants and theatre districts in CBD. Guests are invited to enjoy the award-winning “radii” restaurant & bar, the decadent Lounge and the in-house day spa featuring an indoor aquamarine pool, spa, sauna, gym and private sun deck.